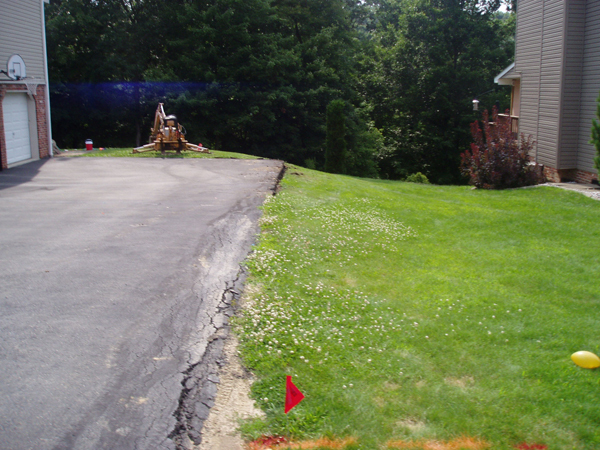 This driveway was slopping and cracking on the edges because of the grade of the yard. 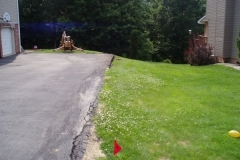 Rain was ponding on the backside of the parking pad. 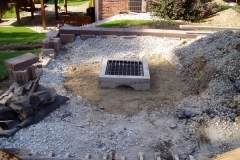 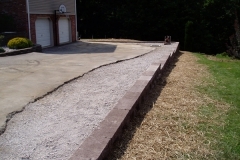 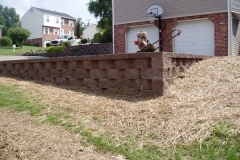 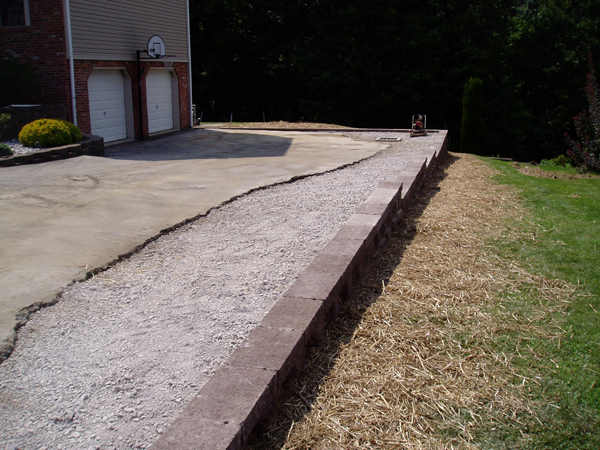 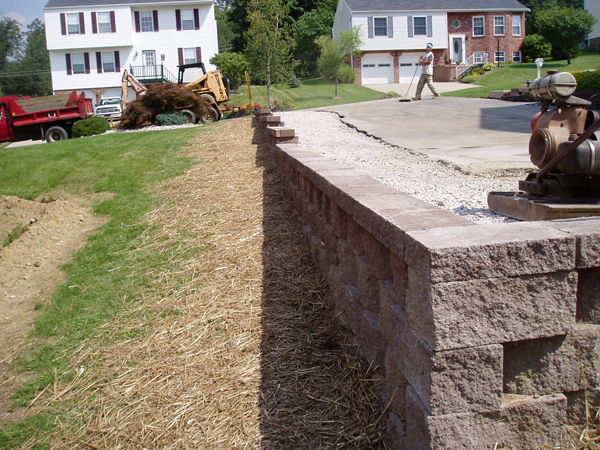 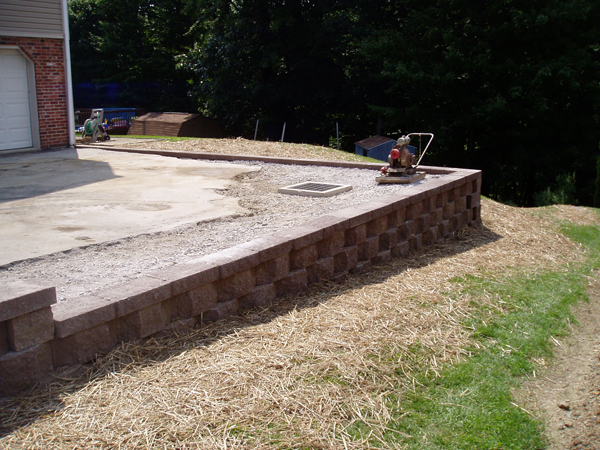 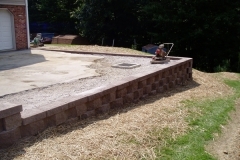 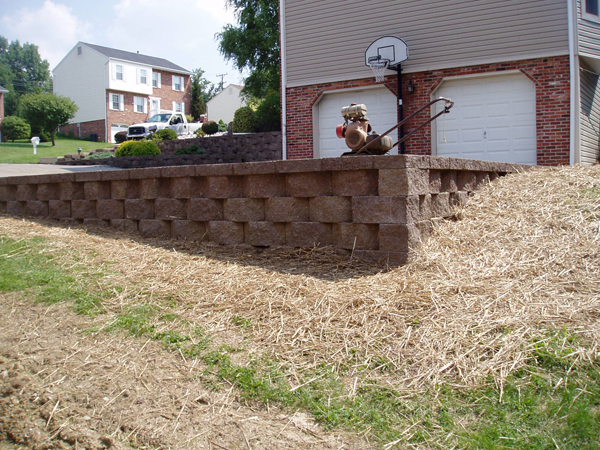 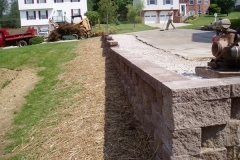 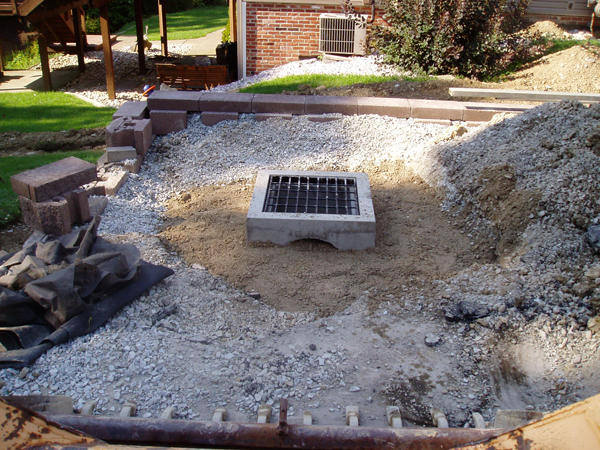 Build a retaining wall and add a drainage basin.